Ecotourism, Green travel and Sustainable travel are all terms frequently used by tour operators when planning trips to Africa. Last year, the UN declared it the Year of Sustainable Tourism for Development — an entire year dedicated to reminding us that tourism just isn’t about seeing the sites. But what exactly does responsible travel entail? Responsible travel allows local communities to earn a fair income from tourism; it supports conservation, local community initiatives; and limits the environmental impact of the vacation itself. Ecotourism started the green travel trend where the focus was on protecting and preserving the physical environment, fauna and flora. Tourists ensured that their visit did not disrupt or damage the local surroundings. Of late, the focus has shifted to responsible travel that brings the wellbeing of people in to focus. Travellers going on safari have widened their gaze beyond the majestic lion hunt. They are visiting local schools, expending the skills of local warriors as guides and taking local cooking classes to truly enjoy the culture and appreciating the people as much as the physical environment. And while responsible travel aims to promote community involvement in tourists’ experiences – it is not limited to this. Ecotourism and responsible travel are not mutually exclusive and often occur simultaneously – protecting the environment whilst promoting local communities. It is not about high-profile gestures, rather a long-term support. When planning your trip, focus on low-impact routes of travel around the country, aiming for direct flights. The single largest impact of most leisure trips is the international flights to the destination and back home. So consider alternatives to reduce your carbon emissions or offset the environmental consequences of the extra flights. Plan to stay at eco-friendly lodges and camps. Support accommodations that do good work in terms of reducing their environmental impact, promoting conservation and contributing to social betterment. Attempt to use environmentally friendly bathroom products and use them sparingly to minimise pollution of the local water supply. Many lodges provide their own complimentary environmentally friendly products. The most exciting part of any luxury safari vacation is seeing the wildlife and taking part in fun activities! 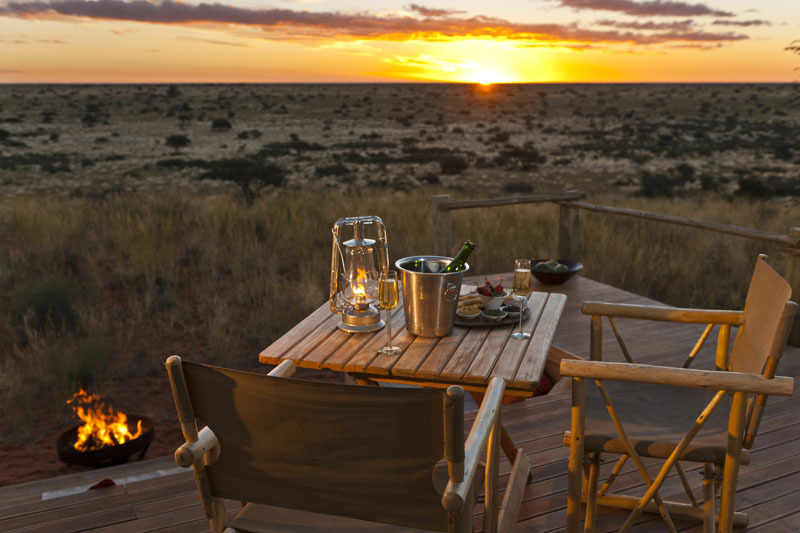 The most responsible travel choice is to select reserves or lodges that specialise in non-motorised activities like walking, horseback, canoe and cycling safaris. These “green” options are less fuel intensive and energy consuming, as well as being less physically intrusive or damaging to the natural habitats that you visit. Support local community based projects and small-scale businesses and try to ensure that they secure a fair share of the benefits. Employ the services of local guides who can pass on local information and provide an insight into the destination in a culturally sensitive manner. Ask before you take photographs of local people and please respect their privacy. Try to learn simple words or phrases from the local language to reflect your interest – greetings are vital. Purchase local goods rather than imported products. Be adventurous and dine in local restaurants and cafés. This helps to support the local economy. Visit and support local conservation and community projects where possible. This provides valuable funding for projects and enables the local community to improve their standard of living. Seek out local, small-scale souvenir shops and purchase from these rather than city/hotel tourist shops. Protect the environment! Keep all litter in your possession until you find a suitable disposal facility. Do not carelessly discard cigarette stubs as much of southern Africa is very arid and grasslands can catch light quickly with devastating effects. Do not purchase products that may endanger the survival of an animal by encouraging the destruction of a species for souvenirs such as ivory, skins or other wildlife products. If you plan on driving yourself, then stick to known roads, tracks and trails. This helps minimise damage to vegetation and distress to wildlife. Similarly, when approaching animals in your vehicle or on foot, keep a respectful distance. Do not attempt to feed or touch any wildlife. In some areas of southern Africa, water shortage is a serious problem. In Namibia in particular, the severity of this increases during the winter period. Recently, Cape Town has entered Level 6b water restrictions. And although Day Zero been pushed back to the 4th June 2018, we continue to urge residents and travellers to please conserve water where possible. However, it is important to keep oneself hydrated at all times. There is enough water for your daily essentials, bottled water is plentiful and available for purchase. Level 6b restrictions means no more than 50 litres per day, it applies to you whether you live at a hotel or a guest house. Help us by saving as much as you can. There has always been a difference between a “tourist” and a “traveller”. A traveller learns about his/her destination and immerses themselves in the place and culture. Be a traveller: learn about where you are going and brace yourself for the difference between the place and your home. Don’t just see, learn.